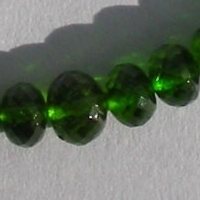 Measuring the hardness of 5.5 on Mohs scale the Chrome Diopside is one of the most amazing and dynamic gemstone available at an affordable price. 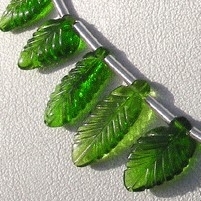 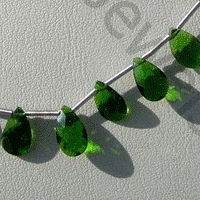 Bestowed with fascinating rich green color Chrome Diopside is one of the soft gemstones and the users of this gemstone are mainly concerned about scratches which may emerge during its cleaning with various solvents. 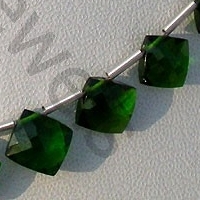 Due to which normally this gemstone is not regarded suitable for rings and mainly used for making pendants, pins and ear rings. 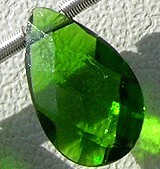 Mainly this gemstone is found in Republic of Sakha in Siberia, Russia, but due to bitter winters its production is postponed for more than eight months. 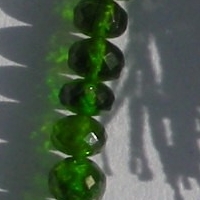 Apart from this it is also found in Australia, Austria, Canada, Finland, Italy, Madagascar, South Africa, and the United States. 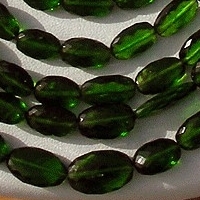 The aggressive green color of this gemstone is considered as the rival of emerald; however its color differentiates from bright green to dark green, which sometimes leaves an impression of black color. 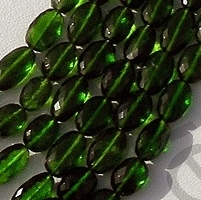 Normally this gemstone is available in small pieces which explore the beauty of its vibrant green color, if used in bigger size it looks like some black gemstone. 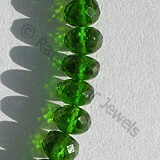 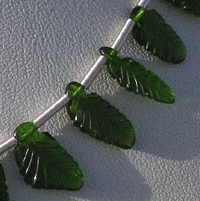 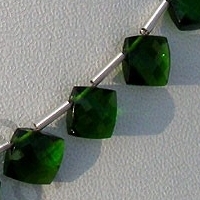 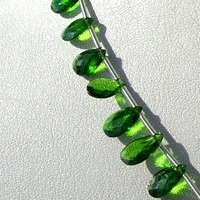 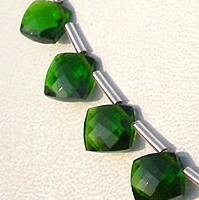 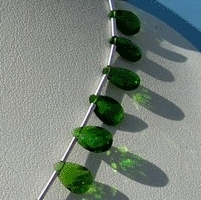 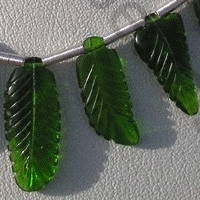 There is an interesting fact associated with Chrome Diopside gemstone since ancient times. 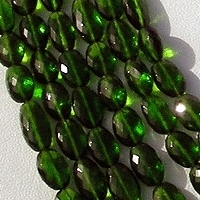 The then people believed that due to its green color this gemstone has fallen from tree of life due to which a dead person should be buried by placing a Diopside near him. 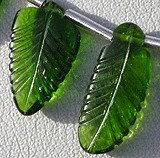 This will assure that he will regain the life. 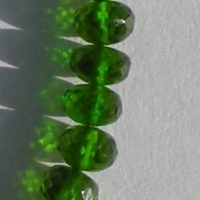 Chrome diopside Gemstone is a variety of natural monoclinic pyroxene mineral, possess property of transparent with vitreous luster and are available in rich-green color with micro flower cut, Flat Pear Shape. 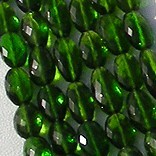 Chrome diopside Gemstone is a variety of natural monoclinic pyroxene mineral, possess property of transparent with vitreous luster and are available in rich-green color with micro cut, Cushion Shape.